Former world No. 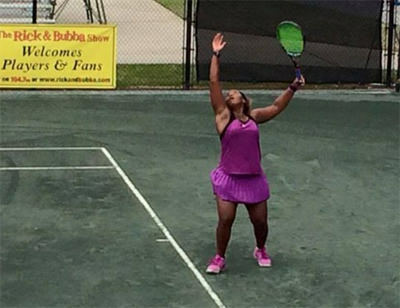 1-ranked junior Taylor Townsend, who could not get into the main draw without a wild card, ran all the way to the title on Sunday at the $50,000 Boyd Tinsley Clay Court Classic, a USTA Pro Circuit event, in Charlottesville, Va. In the all-American all-unseeded final Townsend defeated Boca Raton’s Grace Min 7-5, 6-1, ended a two-tournament and 14-match win streak for Min. The Florida resident came in to the event after consecutive titles at Jackson, Miss., and Pelham, Ala., on the USTA Pro Circuit. Townsend opened her campaign with an upset over No. 3-seeded Swede Rebecca Peterson, and did not face another seeded player during the tournament. Min’s seeded scalps en route to the final were No. 5 Julia Glushko, No. 4 Alexandra Panova, and in the semifinals No. 2 and fellow American Anna Tatishvili. It was Townsend’s second career Charlottesville title after her 2014 championship run, and she improved to 3-1 in career USTA Pro Circuit finals. Min fell to 8-4 in career finals. Townsend also won the doubles title as the No. 2 seed with fellow American Asia Muhammad, in the final defeating unseeded American Shelby Rogers and Alexandra Panova of Russia 7-6(4), 6-0 for the pair’s fifth title of 2016. The singles win put Townsend in the driver’s seat for a French Open wild card with one week to go in the USTA Pro Circuit Roland Garros Wild Card Challenge circuit of events. This week the $75,000 Revolution Technologies Pro Tennis Classic in Indian Harbour Beach, Fla., will determine the wild card winner. For more info go to www.usta.com/Pro-Tennis/Pro-Circuit. 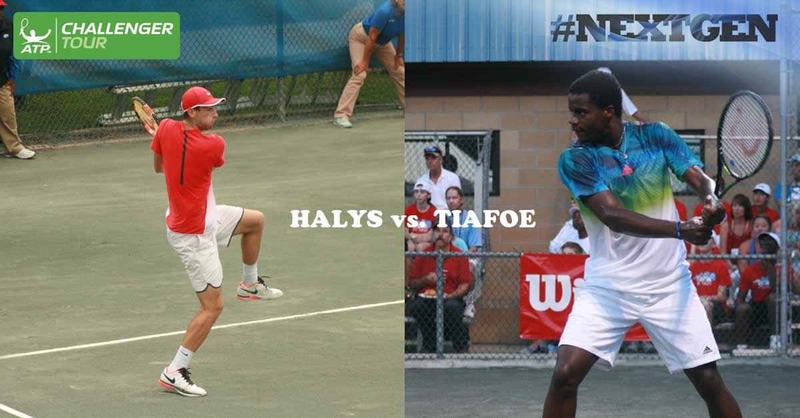 American Frances Tiafoe, who lives and trains at the USTA Training Center-Headquarters in Boca Raton, Fla., was edged in the all-teenage final on Sunday at the Tallahassee Tennis Challenger, falling to Frenchman Quentin Halys 6-7(6), 6-4, 6-2 at the Forestmeadows Tennis Center. The 19-year-old Halys upended No. 4 seed Bjorn Fratangelo in the opening round for his lone upset of the week. The 18-year-old Tiafoe beat No. 6 seed Facundo Arguello in his opener, then No. 1 seed Donald Young in the quarterfinals, then the experienced unseeded American Ryan Harrison in the semifinals. Halys is the youngest winner in tournament history in his first trip to Tallahassee, and claimed his career-first Challenger-level title. Tiafoe was playing in his second consecutive Tallahassee Challenger final, the first to achieve the feat since American Justin Gimelstob in 2001-02. It was the first time in 10 years that two unseeded players reached the final. In the doubles final top seeds Dennis Novikov of the U.S. and Chile’s Julio Peralta repeated as champions, beating the player-coach pairing of Marc Polmans and Peter Luczak of Australia 3-6, 6-4, 12-10. It was the first time a doubles team won back-to-back titles at the Tallahassee Challenger. 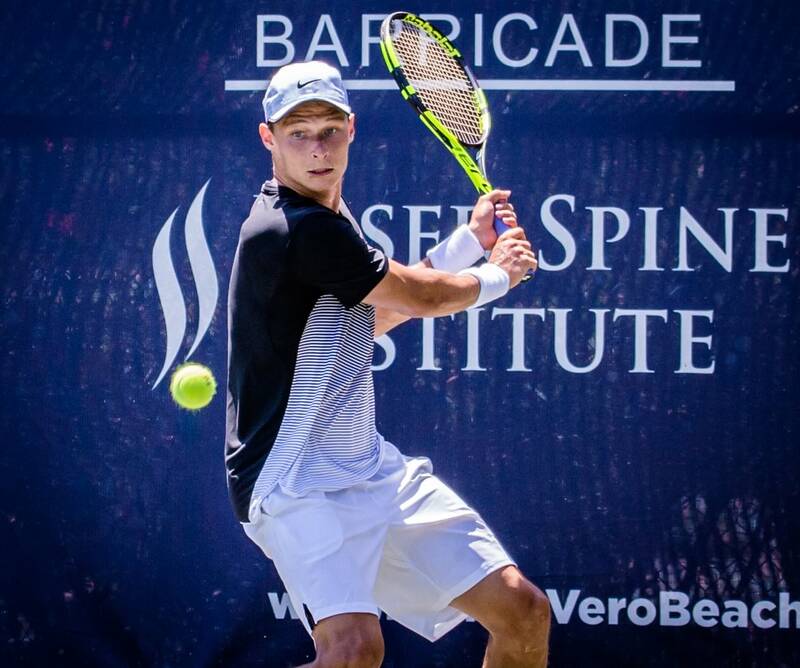 Battling numerous injuries over the years since graduating from the University of Mississippi, 25-year-old German Jonas Luetjen broke out to win his first career pro title on Sunday at the Mardy Fish Children’s Foundation Tennis Championships, a USTA pro Circuit event. He went on to claim the doubles title for good measure at the The Boulevard Tennis Club in Vero Beach, Fla.
Luetjen in the singles final defeated 21-year old Latvian Davis Cup player Martins Podzus 7-6(4), 6-3, before partnering 16-year old Serbian Miomir Kecmanovic to win the doubles title over the No. 1 seeds Deiton Baughman of Carson, Calif., and Anderson Reed of Daphne, Ala., 6-1, 5-7, 10-8. Luetjen was the last player accepted into the main draw, avoiding the qualifying rounds only after a few other players withdrew from the event. Podzus was looking for a fourth career ITF/USTA Pro Circuit title after winning in 2015 at Turkey F24, and in 2014 at Germany F15 and Turkey F44 Futures events. The Mardy Fish Children’s Foundation is in its first year organizing the $10,000 USTA Pro Circuit Futures-level event. For more info go to www.mffkids.org.